Are you living your God-given potential? We all have room to grow, and the Faith Applied podcast supports purpose-driven believers who want balance and better in their lives. Each episode explores the application of our faith for mind/body wellness, purpose and/or productivity with the intent that together we will learn better, and do better so we can live better. 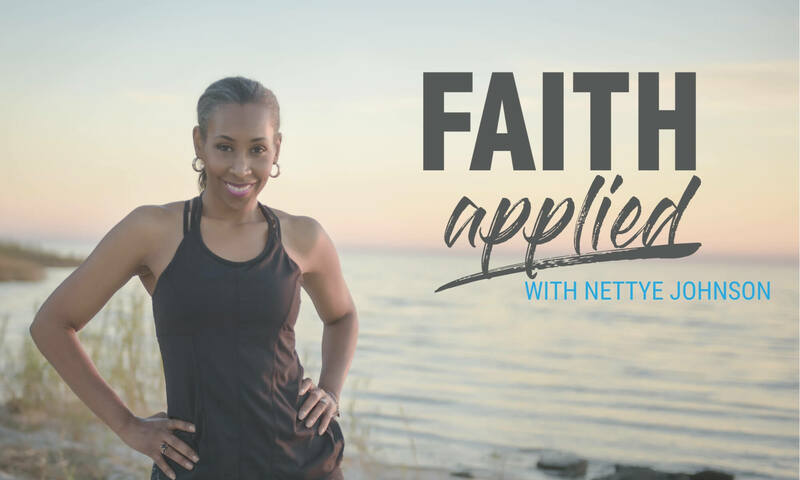 Listen in on your favorite podcasting app, or here at faithapplied.today. Be sure to subscribe so you don’t miss an episode (enter email in form at bottom of page). Many fitness experts say the pushup is like the perfect resistance exercise. This 9th day of TempleCare12 pushes full body strength with the addition of push-ups to your daily routine. Our bodies, our minds, our souls need rest. On Day 7 of the TempleCare 12 program, we cease from work in the program to reinforce the discipline of rest. Water sustains life. About 60% of the human body is water, and we need water for a wide variety of crucial bodily functions. Do you drink enough every day? Knowledge is a gift that brings power. It is an impetus for change. God gave us intellect. Honor that gift. This 5th day encourages you to feed your mind. How much did you move today? Yesterday? TempleCare12 helps you create or reinforce healthy and whole habits during crazy-busy or otherwise challenging times and this 4th day stacks and supports the habit of physical exercise.